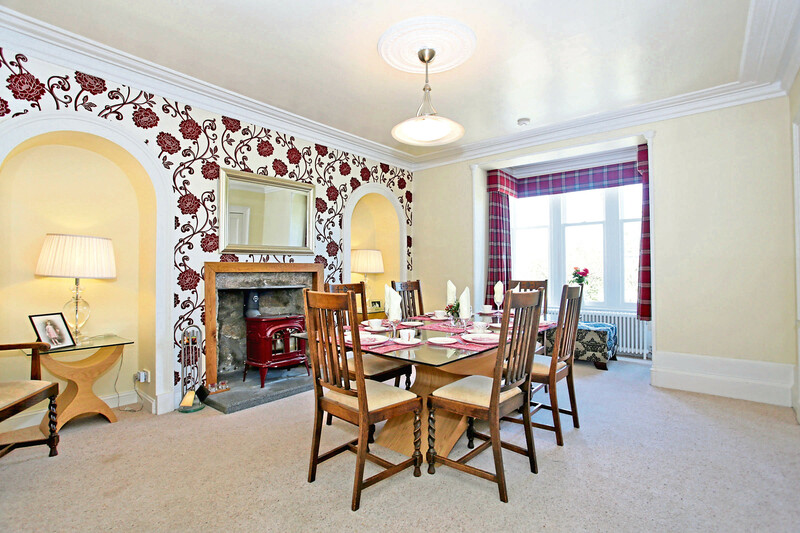 Looking for a traditional home in a stunning location? Abercorn might just be the place for you. 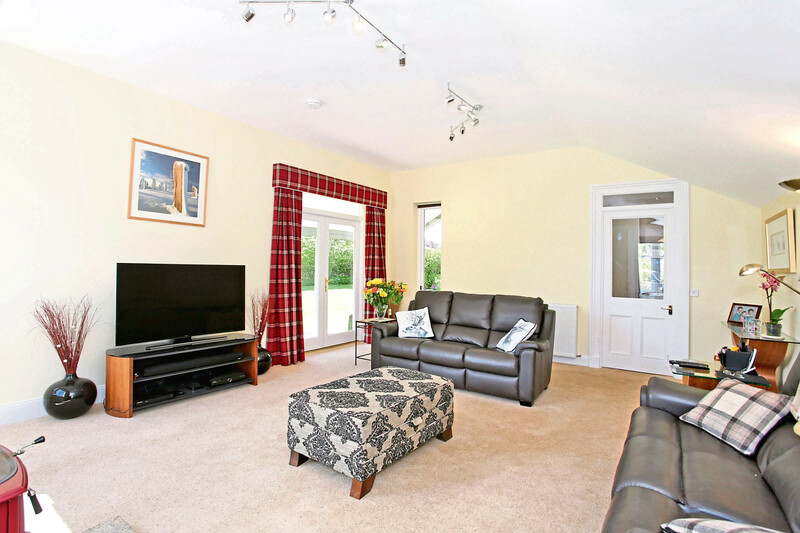 This spacious five bedroom family home is the perfect country retreat to escape to. 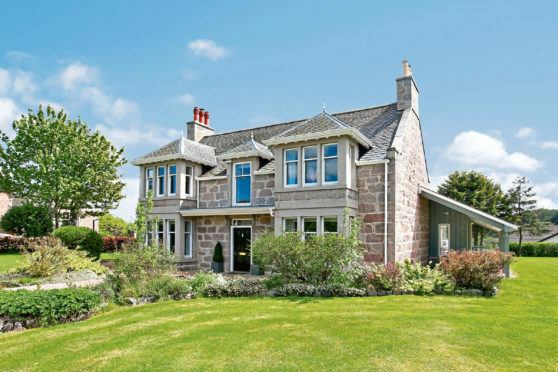 Located in the charming town of Aboyne, Abercorn sits on the edge of Royal Deeside and is surrounded by uninterrupted country views. Guests will be impressed from the moment they step inside, with a large sweeping staircase and carefully maintained entrance hall. The kitchen has been thoughtfully modernised in a classic country farmhouse style, with solid wood worktops and white shaker units. 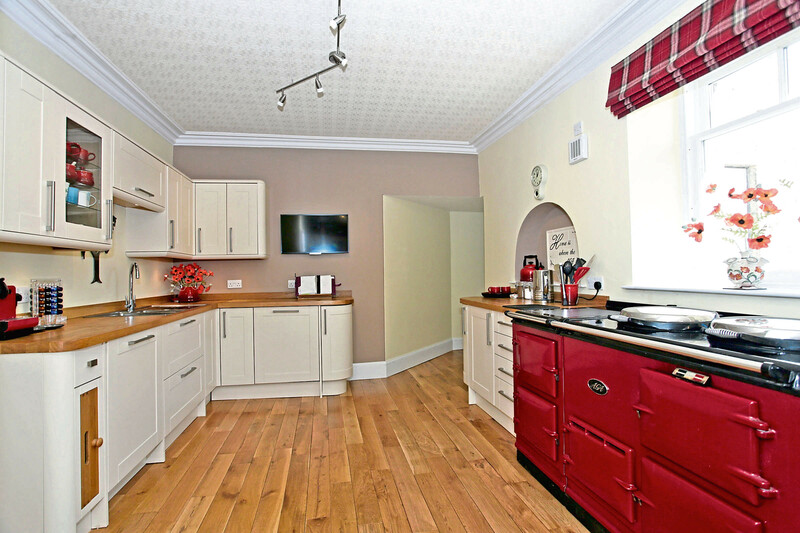 However the focal point of this room is clearly the pillar box red AGA, which offers four large oven. The dining room, which is perfect for family dinners as well as more formal occasions, is spacious and bright with a feature wall and traditional wood burning stove. The real heart of the home is likely to be the family room however, which was added as a tasteful extension in 2015. Both modern and spacious this room it also offers access to the garden. A more formal, modern yet traditional lounge can be found at the front of the property, and with plenty of space for guests. Perfect for cosy nights in, the unusual wood panelled ceiling and grand fireplace make this room a peaceful spot in which to relax. 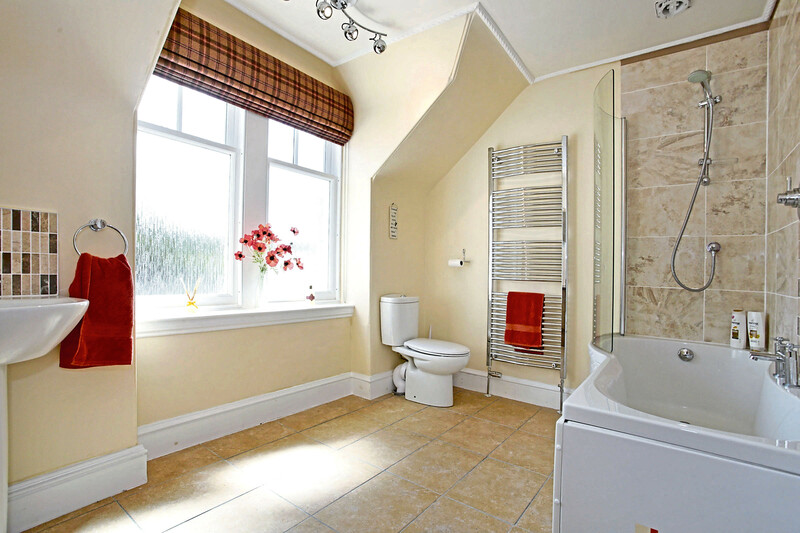 Completing the ground floor is a modern shower room and a spacious utility area. All five bedrooms can be found upstairs. The master suite is a particularly impressive space, complete with a luxury shower room and the dressing room. The other four bedrooms are all of a generous size and tastefully decorated, with stunning country views from each window. The modern family bathroom finishes the accommodation. Outside, there is a spacious garden which is mainly laid to lawn, perfect for catching some rays in summer. There is ample parking with a big driveway and a double garage. 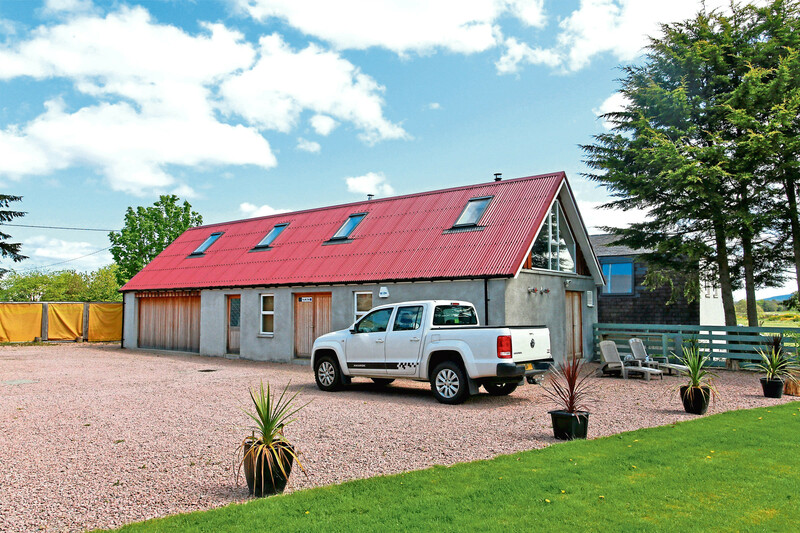 The property also has a separate outbuilding known as the bothy. This houses the garage and a large workshop, with a substantial upstairs space which is could be turned into a home office or spare bedroom. Aboyne is about an hours’ drive from Aberdeen. Offers in the region of more than £625,000. Contact Aberdein Considine on 01330 824646.